May 14, 2018 By Aileen Leave a Comment This post contains affiliate links. As an Amazon Associate and member of other affiliate programs, I earn from qualifying purchases. 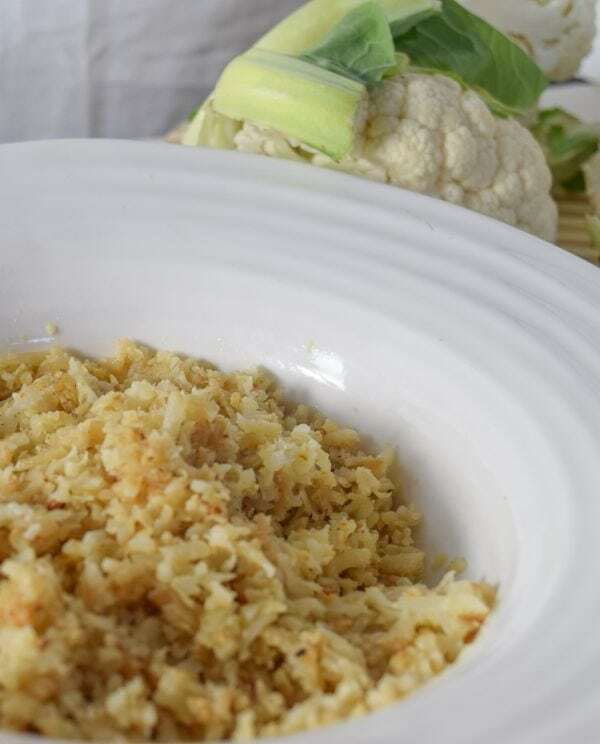 Make cauliflower rice at home with this easy to follow recipe and tutorial on how to rice cauliflower and how to cook cauliflower rice. I made cauliflower rice for the first time and didn’t tell my family. I just put it on the table and acted like it was regular rice. No one said a word. The kids inhaled it and my husband happily ate a big serving. It wasn’t until after they had eaten did I mention that our rice was actually made of cauliflower. My husband was pleasantly surprised by how good it tasted. The texture wasn’t much different than regular rice and they soy sauce I added gave it a nice flavor. The first thing you need to do is rice your cauliflower. There are two methods for ricing cauliflower. The first is by grating it with a box grater. Do it the same as you would a block of cheese. The second is to put it in your food processor with the grater attachment. I used my food processor and it was very easy and fast. Once your cauliflower is riced, you will want to place it in a bowl with a paper towel. Press it gently into the paper towel to squeeze out any excess moisture. 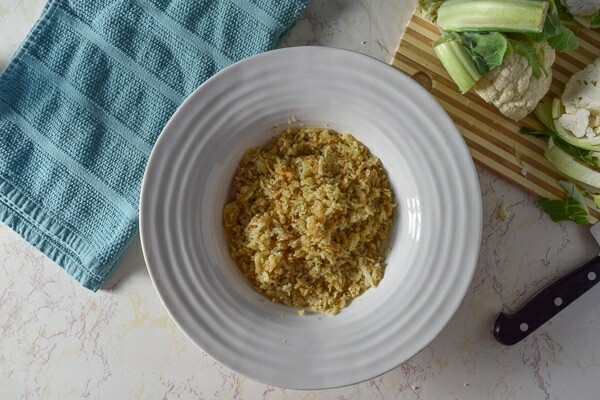 Once your cauliflower is riced and drained of moisture, it’s time to cook your cauliflower rice! Heat a tablespoon of olive oil over medium-high heat. Pour the cauliflower rice into the heated pan. Cover, and cook about 5 minutes – until fork tender. Mix in some soy sauce and cook for another minute. Season to taste with salt and pepper and serve. This recipe is a great healthy rice alternative. It pairs well with Asian dishes and simple chicken recipes. Make sure you check out our list of pairing suggestions below. Cut the head of cauliflower into quarters. Place the cauliflower into a food processor using the grater attachment. Alternately, you may grate the cauliflower using a box grater. 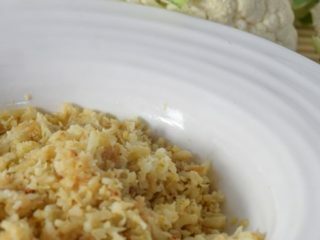 Place riced cauliflower into a bowl with a paper towel. Gently squeeze the excess moisture out of the rice. Add the riced cauliflower into the skillet and cover, stirring occasionally. Cook until tender, about 5 minutes. Mix in the soy sauce and cook for 1 more minute. Season with salt and pepper to taste, keeping in mind that the soy sauce adds a good amount of saltiness. Serve in place of traditional rice. 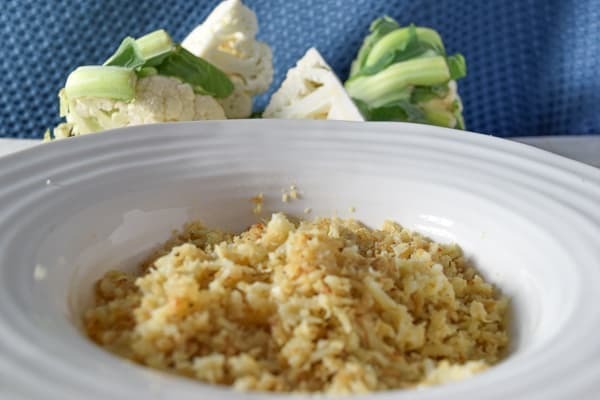 Did you try this cauliflower rice recipe? Let us know what you thought below with a rating and comment. You can also tag us on social media using @aileencooks. Previous Post: « Oriental Trading Co Gift Card Giveaway!